With every water, fire, or flood comes a flood of emotions. There is a certain amount of uncertainty, and a loss of control. It can be your home, business or your belongings that have become damaged you don't just want things to be clean. You want your life back, as well. You look to us, SERVPRO of Minot, to handle the situation. And that is where SERVPRO of Minot comes in. We are a franchise system with over 40years of leadership in the cleanup and restoration industry. Our team takes to the streets, every hour of every day. Proving that wherever there's a house full of water, or an office filled with smoke, there is also a van full of clean. SERVPRO of Minot can make it "Like it never even happened." 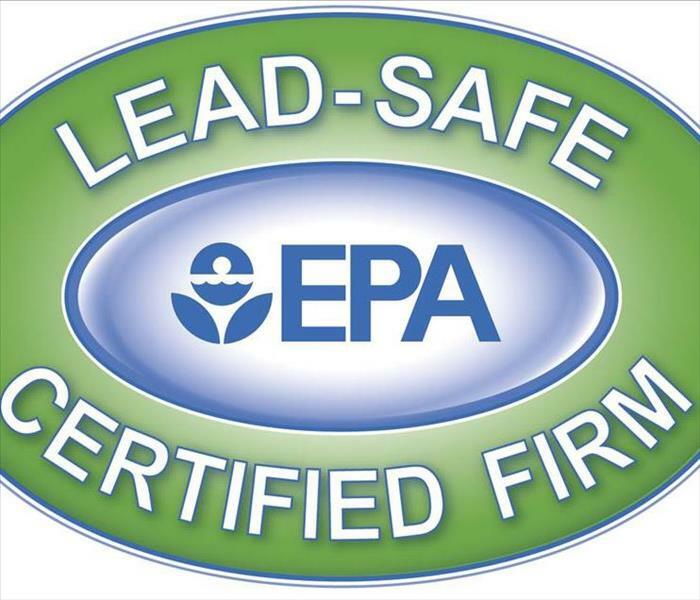 Did you know that businesses that apply EPA (Environmental Protection Agency) disinfectants are required to have a pesticide certification in the state of North Dakota? 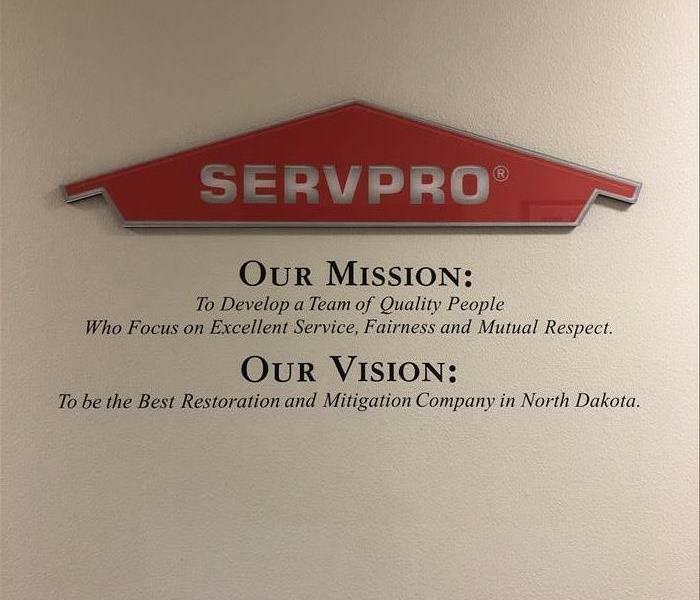 SERVPRO of Minot's Commercial Number is 10066709.This certification must be renewed every three years to remain active. SERVPRO of Minot follows guidelines set by the state for use and record keeping of the products we use, store and transport. When we use products that are registered we record the time, quantity and how it was applied to your home or business. We also send to the homeowner or business a letter stating these services. All documentation is kept for three years. All of us at SERVPRO of Minot feel these practices are a valuable aspect to our company. Following these guidelines is important for our ecosystem. These guidelines help us to remain conscience of our environment and help in its preservation. SERVPRO of Minot welcomes Christopher Tom to our team. Chris has been hired as our Build Back Superintendent. He will be working directly with you, the homeowner, and with all trades needed to put your home back together. Chris comes to Minot from Colon, Michigan to pursue his passion in Broadcasting, and pole vaulting for the MSU track team. Chris's dream is to make movies. Chris also has an interest in martial arts and has traveled to almost every state. When I asked him if he had a favorite destination he couldn't pin point one. He has special memories in all his travels. A fun fact about Chris is he has a construction background working on Hi-rises in New York City. Chris enjoys working with people and looks forward to assisting you in your upcoming projects. You can reach Chris by calling 701-852-7378. The employee spotlight is on Andrew Amsden . Andrew’s mom worked with SERVPRO during the 2011 flood and recommended Andrew apply with the SERVPRO team. Andrew started with SERVPRO of Minot at the end of 2016 as a Production Technician and has worked his way up to the Crew Chief designation. In this process he admits he has learned how difficult it can be to be a manager, and wants new employees who are hired on to be ready to work. He thinks the most challenging part of SERVPRO is helping customers during one of the most stressful times in their lives. 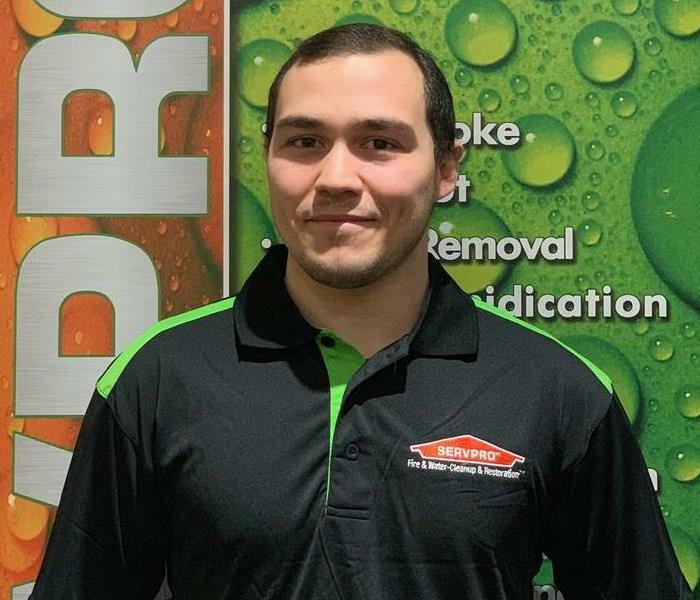 Andrew enjoys the family environment that is SERVPRO, and his most memorable job was a flooded basement in Berthold where the team came together and made a difficult job fun! If he could change jobs with anyone it would be Chris Samo, Operations Manager, but only for the money. The job would definitely be too stressful and he wouldn’t want it. Andrew is from Des lacs, ND. His family includes his mom, dad, two sisters and a brother. Andrew has a small kitten, listens to all kinds of music, and would like to visit Alaska. His favorite trip was to Farmington Hills in Detroit. When I asked Andrew what advice he would give to his younger self he said: Focus on school it actually matters! Grease fire on stove tenant was cooking and fell asleep. If you own expensive jewelry, collectibles, musical instruments or even high-end sports equipment, you may want to add a floater or endorsement to your renters policy. This would provide broader coverage for risks such as “mysterious disappearance.” So even if you lose the item, you would be covered. Sewer back up flowed into haulway. I am the maintenance man for McKenzie county and am responsible for repairs to our Hillside Court apartment complex. Hillside court is a facility for the disabled and seniors 62 and over with a meals on wheels program on site. I want to inform you that your employees have performed in a very professional and courteous manner. This goes to show what quality of demeanor and character your company seeks to employ. Yesterday 10/4/16 around 4:30 we had a large sewage backup at our McKenzie County Courthouse building while a commissioners meeting and public hearing were taking place. At this time your company had a single staff member in town working at Hillside Court. I am unable to express how impressed I am with your employee’s ability to remobilize and begin extracting sewage in less than 10 minutes of asking for help! If this is not a SERVPRO record than it is in the running for second place. If I knew the address in which to have mailed this letter to I would have used pen, paper, envelop, and stamp to express my thanks. Too often in the service industry do we only here the bad things rare is it when you hear about a job well done. Your staff on site is putting long hours doing knuckle busting demo work. It is my wishes that you will be able to express thanks and gratitude to your staff on behave of the tax payers of McKenzie County for going above and beyond our expectations. Sewer back up flowed into hallway. SERVPRO of Minot hosted a continuing education course on May 15, 2017for insurance agents to earn credits towards their license. Dan Luttrell was brought to Minot from the Gallatin TN corporate office. He taught in regards to Fire Restoration and also in Water Restoration. Each class was two hours. This is a free course provided each year in the Spring. Congratulations to our team who partook in the WRT(Water Restoration Technician) training. SERVPRO of Minot had a corporate trainer come to Minot from Gallatin, TN to provide training to our team. Among those are Nicholas Leier, Riley Adams, Andrew Amsden, Brandon Leier, Jude Hinz, Decosta kankam, Isaiah Crowe all passed the exam with flying colors.